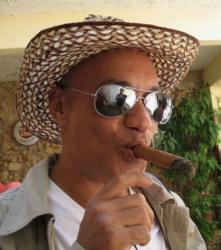 Ivan will organize especially for you a memorable Cuban week, and will welcome you warmly to Havana. He can customize your stay according to your wishes. Cigar aficionado and enthusiast, he has an exceptional culture of the Habano. According to its availability, if he can not accompany you on the requested period, he is still responsible for organizing your tour and he will select for you a guide with the same skills.